Mt Yasur. Why you come to Tanna. A remarkable experience you’ll never forget. 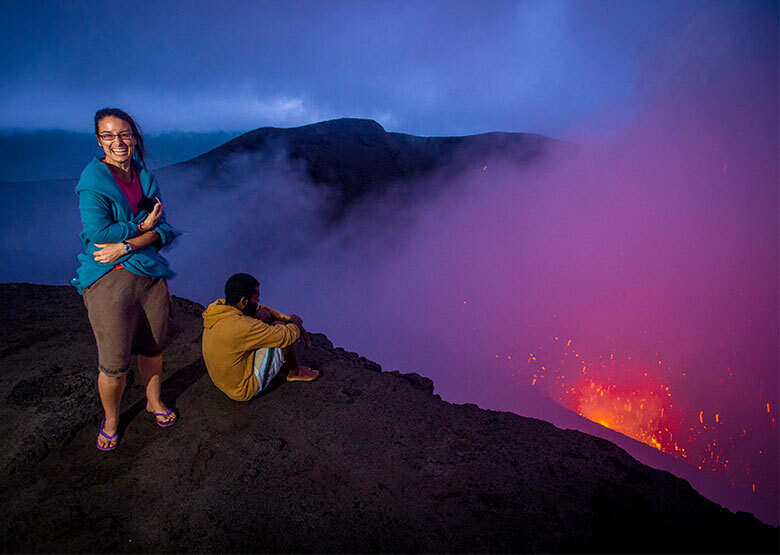 Tanna’s most famous attraction, Mt Yasur, is the world’s most accessible active volcano. Over the centuries, ash rain from Yasur has built massive black dunes, creating a moonscape. You can climb to the crater rim to enjoy a magnificent fireworks display. Night-time viewing is best. There’s a safari tour you can book. It takes you through the Middle Bush area, past the wild horses on the White Grass plains, coffee plantations, and many highland villages before reaching Mt Loanialu at 552 metres. Across the ash plain moonscape Isiwi area, finishing at the foot of Mt Yasur. A further 10-15 minutes’ walk will place you at the crater’s edge (dependent on volcano activity at the time), where you can experience the awesome power of nature as night falls. A guide accompanies you for informative and safety purposes. A WOW experience. You are on the edge of this great earth ‘beast’ watching molten lava violently bubbling and spitting out into the night sky. A sensory feast not only for the eyes but your entire body as sounds and vibrations of the ground rumbling and the volcano erupting engulf you. It may leave some terrified. Most adventure seekers, however, are addicted to the awe. An unexpected bonus is your very own private ash boarding lesson. After climbing the volcano, you can scoot your way down again on snowboards (ash boards?). After, be treated to a private tour of one of Tanna’s famous local waterfalls. Lokalangia Kustom Village Tour – experience a way of life that has not changed in centuries. Lokalangia Village is approximately a 45 minutes’ drive into the jungle in the Lowinio area, where you have the opportunity to experience a way of life that has not changed in centuries. The villagers have resisted the trappings of Western culture and continue to embrace a subsistence way of being dominated by their belief in “Kastom”. 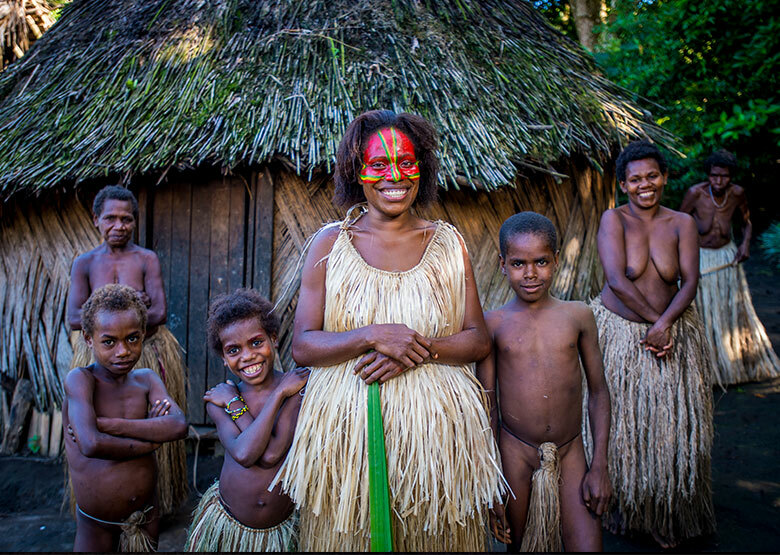 This tour provides a fascinating insight into the daily life of a local tribe. Children, even hard to please teenagers, will enjoy the experience and marvel at the way in which the villagers still live to this day. The land in which they live is a veritable supermarket. To see how they must grow and hunt for what they need for survival is quite impressive. Even with all the hard work and rules of the village, and with no modern conveniences in sight, they are happy as they are. A must do for families interested in learning the real culture and intricacies of “Kastom” of Vanuatu. A fabulously authentic cultural experience. 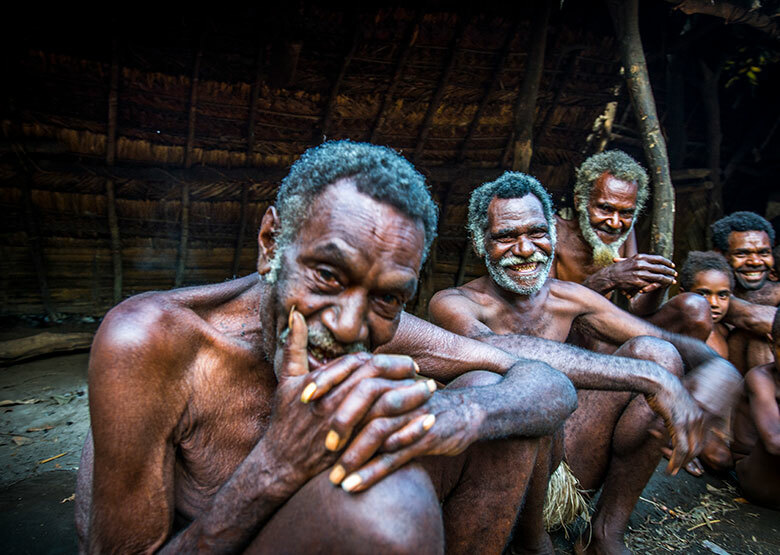 The Warrior Tribe in Tanna’s highlands generously shares their rituals and untold secrets of warfare and black magic. This cultural tour departs in the afternoon by vehicle and winds its way to the highlands until it reaches the Warrior Tribe. Authentic and unchanged, experience the fascinating culture and way of life hundreds of years old. As a privileged visitor, the tribe share with you their black magic secrets. Warriors explain practices and trickery still used today on rival villages including ambush and the traditional use of yesteryear weaponry (spears, bows and arrows and clubs etc.). The tribe open their hearts, home and spiritual secrets to reveal their unique way of preparing and celebrating traditional drinks like kava and coffee. The “Kastom” beliefs and practices are strange to most tourists. So strange and alien to our way of life at times, they are somewhat confronting and terrifying.  Yet all who fully immerse themselves in this tour return spiritually and culturally enriched by what they experience. OK. So Tanna isn’t quite a foodie hotspot for those who are after bursts of culinary perfection. 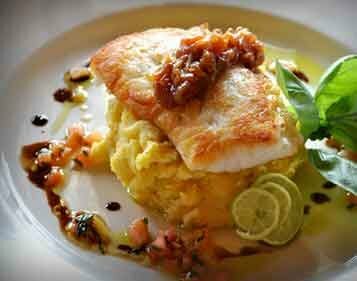 But there is definitely lovely food to be enjoyed at the Whitegrass Ocean Resort on Tanna.The location is stunning. The restaurant and bar is open to the public and all are welcome. The menu is ‘blackboard’ style with daily specials rotating seafood items and other locally inspired dishes. Of note are Beef dishes made with the internationally renowned Vanuatu Beef. If you’ve food allergies they do offer some alternatives but definitely check before arrival to ensure you’ll have special dietary choices catered for. One of our favourite unspoiled tourist attractions across all our Island destinations. The Blue Cave is a magical experience and a ‘bucket list’ contender without question. The tour starts by fishing boat along the magical limestone coast. Along the way, the boatmen sometimes take the opportunity to trawl Tanna style for Wahoo or Yellow Fin Tuna. You pass beautiful ancient caves and picture-perfect beaches until you reach the fantastic Lemnap (Blue) Cave. 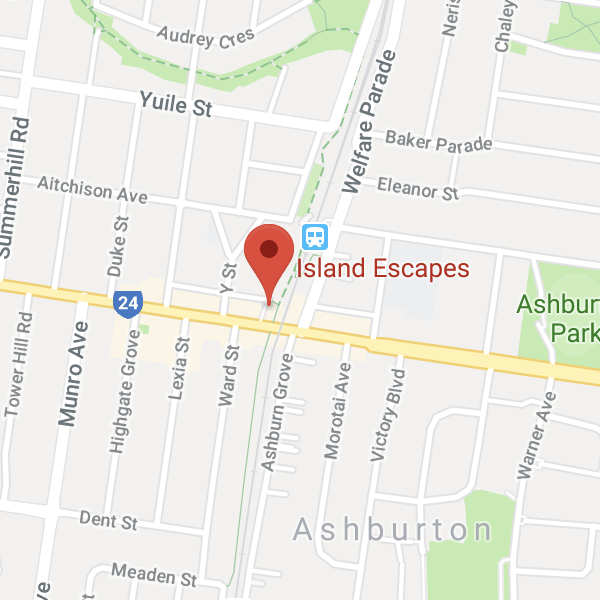 Since access to the cavern requires a swim underwater (approximately ½ metre to one metre) some people find it terrifying – particularly those who are not strong swimmers. If this is the case for you, we suggest you go at low tide where the underwater swim is not so daunting. 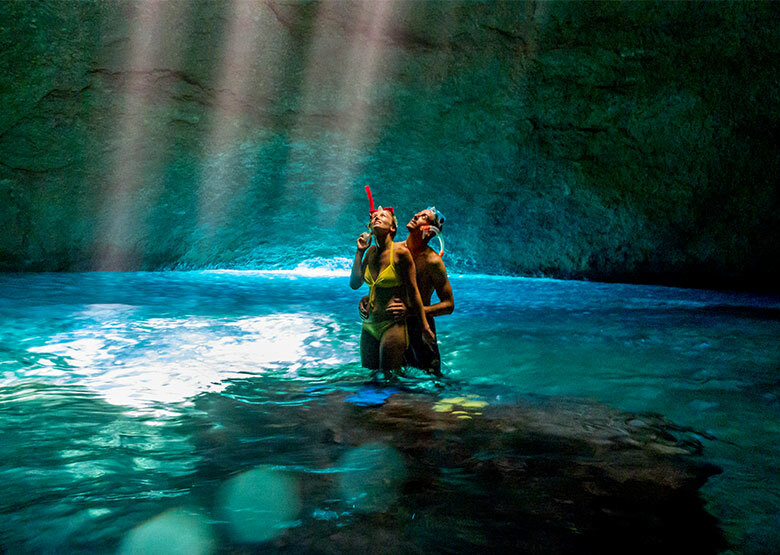 Once inside you’ll be in awe of this natural grotto, approximately 60 metres in diameter. A shaft of light filters down through a 5-metre hole in the roof of the cave. The lighting effect is nothing short of breathtaking. Stay to enjoy the cleanest of aqua blue water or follow the adventure seekers outside the cave to jump from the wooden ladder and snorkel outside to greet the most fantastic fish and incredible colours of the coral. Blue Cave is another world worth visiting. Our tip is to visit at low tide in good weather conditions if swimming underwater to access the cavern is beyond your adventure limit! Tanna Travel Guide - Things to do, know, where to eat & our favourite travel highlights by The Escape Artist @ Island Escapes. Get the best Tanna holiday advice. GO!